Is your iPhone/iPad not charging? In this article I will be giving some guides on how to fix your iPhone not charging Problem. 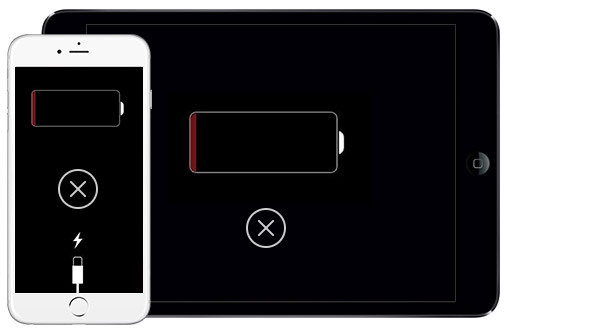 If you are having issue with charging your iPhone/iPad there are many things you can do to it before you can finally report your query to Apple. By following the steps below, you can be able to Solve your iPhone/iPad Air Won't charging Error to some extent. Clean the Charging Port: At times debris in the charging ports of your phone can prevent it from charging. Therefore, first make sure you dust out the debris from the charging point before you proceed on any move. Check Your Cables: This is another step to take in order to fix your iPhone 4,5,6+,7 Plus /iPad not charging Error. After you might have cleaned the charging point and still the problem persist, check if the cables you use is not damaged and as well check if they are supported. Restart Your Device: If the problem still persist, it will be advisable you restart your iPhone /iPad by following the steps below. While detaining the sleep button, take hold of the home key or the volume key in some iPhones. Make sure you hold the sleep button as well as the home key/ volume key until the device goes off. Don’t release the buttons until the Device Turns on and Shows the Apple Logo. Restore Your Device: if after trying the above steps and still the problem persist, just proceed by restoring your device in iTunes. Restoring your iTunes is the safest way to restore your device rather than restoring your device over iCloud reason been that it will definitely reinstall and as well reload your device data. Follow the steps below to restore you iPhone/iPad via iTunes. Connect your iPhone/iPad to iTunes by the aid of 30-pin Dock connector or better still use lightning on your respective PC. Under Device, hit the backup button. By clicking the backup buttons your data would be backed up. Therefore you need to wait till th back up finishes. After back up process is done, you can now click the “restore” button to restore your device. When restore is done, try changing your device again. If it charges, good luck and if it doesn’t there is still more step to take. Contact the Apple customer care: if after restoring your device and still your device doesn’t charge, now you have no choice than to contact the apple customer care. Reason is that lightning and 30-pin doc port is meant to repair any wear and tear of your iOS device. But if after using them nothing happen, don’t just seat there doing nothing; contact Apple as fast as you can. I hope by now you know understand how to fix iPhone/iPad not charging issue by following the guides above. Thanks and stay tuned for more useful tips By GadgetSpirit.